At this point in their career, Booka Shade can be considered a veteran dance music duo. Walter Merziger and Arno Kammermeier arose from the Frankfurt Germany music scene, seeing their start in the mid-90s. They’re known for their unique sounds that span House, Tech-House, and Minimal and to date have released five full-length albums (a sixth is supposed to be on its way this November, titled EVE). Booka Shade have quite the catalog of original tracks and remixes, but I think their most popular tune has to be “Body Language“, which is still played in significant rotation across the globe on festival main stages and may have one of the most familiar chord progressions of the past decade. Their live sets are like few others, playing House and Minimal tracks on live instruments. 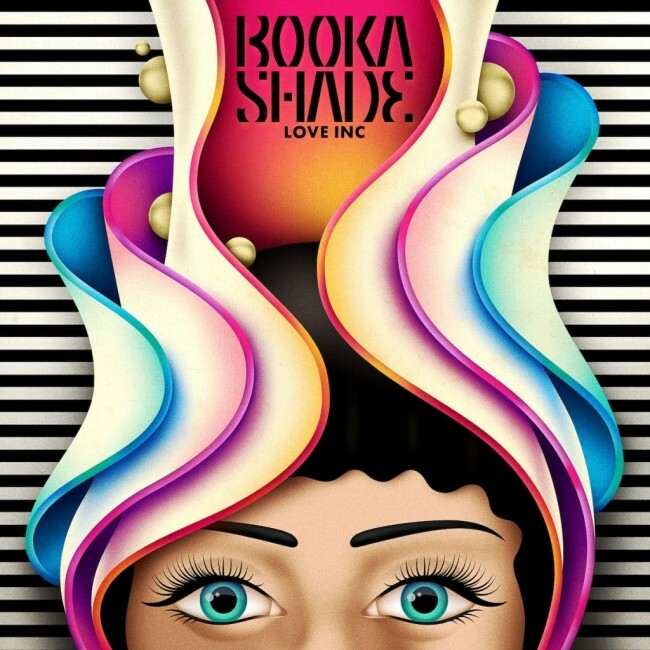 Out now is “Love Inc” which is the lead single off Booka Shade’s forthcoming album EVE, the first full-length since 2010’s More!. While the original track is a work of art in its own right, the EP features remixes by guys like Hot Since 82 and Emperor Machine. The original mix, with a deep and soulful vibe, intertwines with female vocals that repeat intermittently throughout the track, that sounds like Joi Cardwell asking ” Say, are you happy?” on Lil Louis’s “Club Lonely”. Definitely not a dance floor destroyer, “Love Inc” is more of a melancholy chill-out track that has the underground qualities of previous Booka Shade songs. Remix work by Hot Since 82 adds the Brit’s production flavor in perfect form as we’ve been accustomed to hearing over the past year (he’s one of my favorite Deep House artists at the moment). Things get kicked up a notch with Emperor Machine’s remix, which turns the track into a happier and more upbeat Indie Dance/Nu-Disco production. Emperor Machine (Andy Meecham) takes the chords of the tracks and turns them into fun, poppy, and danceable elements that shows us imagination allows musical perspectives to flourish. The seven-track release is available to download on Beatport right now – make sure you grab a copy as you wait for the release of EVE on November 1st (you can pre-order on iTunes HERE).